Express yourself with cute status! 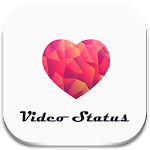 Want to say “I miss you?” Post some love video status and romantic video status for Whatsapp stories, Instagram, Facebook, etc. Find lots of Hindi Shayari Video, Hindi video status, Bhojpuri Video Songs, Punjabi videos, and other song video clips India and from other countries too! It’s super simple to browse for awesome lyrics video, download them, and then post your downloaded videos clip India on social media of your choice. It only takes a minute and it will definitely impress your friends and family. So, what are you waiting for? Everything here is FREE, so get these awesome song videos for WA right now! Everyone wants to exist on social media, but we can’t always find the great content that is suitable for our mood. It’s so boring just to type “Miss You” every day when we are missing someone. It’s much more fun when we can post something funny, romantic, and unique. 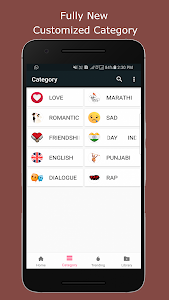 Now you can do it easily and express your status and mood with cute status in form of lyrics videos, Punjabi videos, Hindi Shayari videos, Bhojpuri Video songs, Punjabi songs, and many more song video clips India, USA, etc. There are so many choices and they are UPDATED DAILY. There are many funny statuses to make people laugh, love video status and romantic video status for Whatsapp, Instagram, Facebook. Just show your emotion through these cool video clips. Aside from posting the downloaded videos on your social media status or stories, you can also directly send them to anyone through WA, Messenger, and other means. Cool, isn’t it? It’s a really simple but thoughtful way to show people how much you care and love them every day. Even a small gesture as sending love video status and romantic video status for Whatsapp can show how much they mean to you. These cute status clips will surely make their day. •	Awesome status and stories in form of short videos for social media. •	Directly share on Whatsapp, Instagram, Facebook, Messenger, Hike. •	Share using other apps: Email, Bluetooth, etc. •	Download and view downloaded videos later. •	Use Search function for easier browsing. •	Updated with new short video clips India & other trending clips every day. •	Hindi video status, English clips, and many more. 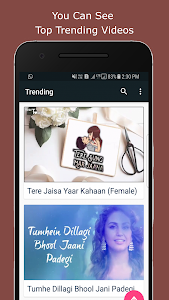 You need to follow this latest trend and post the coolest Hindi Shayari video, Hindi video status, Bhojpuri video songs now. Don’t say “Miss you” with old fashioned way. Say with coolest clips and lyrics video today! Note: you have to be connected to the internet to browse, view, and download and share these video clips. If you have downloaded videos then you can view them offline on your Library anytime you like. Love our app? Share to your friends and post your rating and review on our Google Playstore homepage! Similar to "Video Lyrics Status"